Jennifer Deason was appointed to the Company’s Board of Directors in July 2016. Ms. Deason has over two decades of experience in corporate leadership. Most recently in her role as executive vice president at Bain Capital, Ms. Deason has partnered with CEOs and other senior level executives to improve company performance and drive transformations through strategic initiatives and performance management. While at Bain, Ms. Deason served in several interim operating roles such as President, Chief Marketing Officer and Chief Financial Officer and was a Board member of several portfolio companies. 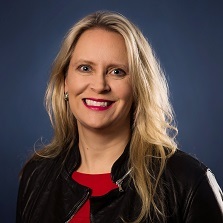 Most recently, Ms. Deason served as Interim Chief Financial Officer at the Weather Channel, where she worked to reposition the organization from a more traditional TV media company towards a data-focused, mobile-first advertising platform, prior to the recent sale of the digital and B2B businesses to IBM. Ms. Deason holds a MBA from Stanford University and a B.A. from Yale University, and is closely involved in both schools. She is also on the Board of Trustees at the Massachusetts Museum of Contemporary Art.